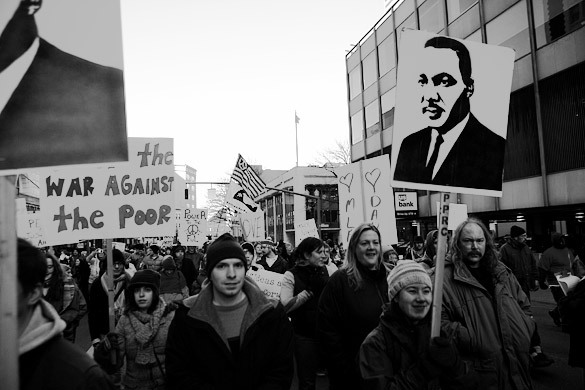 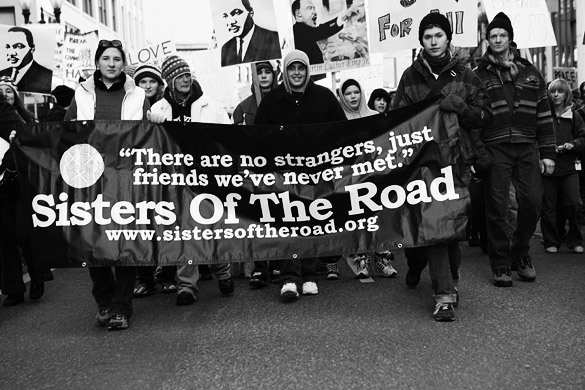 I’m in Portland, OR this week and today I was able to capture a few shots of the Sisters of the Road Martin Luther King March and Rally. 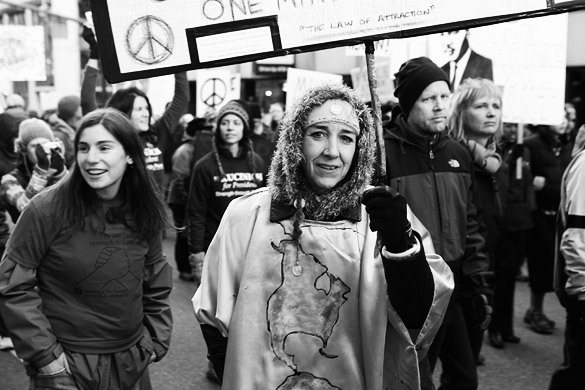 The theme of the march was non-violence. 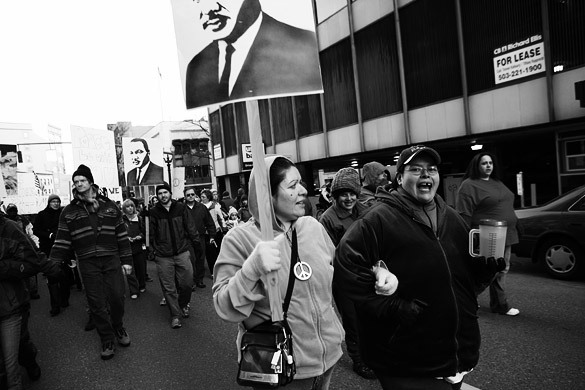 Here are a few of the photos from today’s march.